The HIFU technology has been developed for the treatment of various cancers using thermal energy that is created at the focal distance of a transducer by the ultrasonic waves. 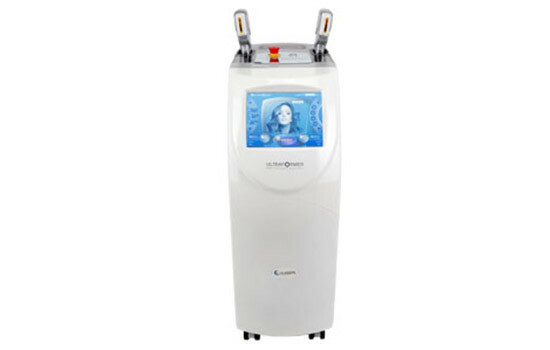 Ultraformer HIFU is a machine with a high intensity focused ultrasound system. The transducer (handpiece) of Ultraformer HIFU emits high-intensity ultrasound that penetrates the treated area at the desired depth, with geometric precision. Focused ultrasound induces thermal coagulation to 3 different depths of the skin and connective tissue. The thermal coagulation promotes the formation of new collagen fibers and the whole results in a noninvasive lifting effect.